Because flu patients increase dramatically resulting in shortage of Tamiflu, Deputy Head of Drug Administration of Vietnam Do Van Dong yesterday ensured enough drug for treatment demand. The administration took initiatives to direct pharmaceutical enterprises to closely coordinate with relevant agencies to forecast demand. On the basis of demand, enterprises will make its plan to provide the drug. Through initial survey of importing quantity, supply of the medication will meet the demand of treatment; however, Mr. Dong also pointed out that hospitals should have more in its stock for preparation of large outbreaks of the ailment. 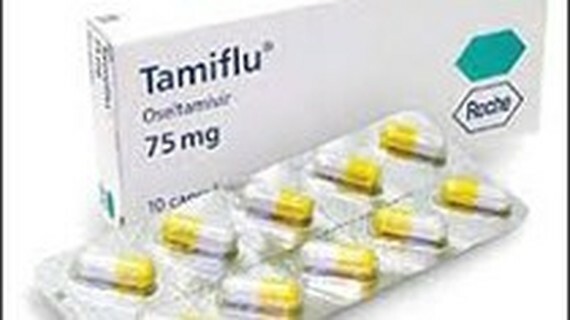 He added that Tamiflu drug with Oseltamivir have been approved to circulate in the country. According to the present regulation, the drug is imported as per the market demand. The medication is mostly provided to specialized medical clinics when flu outbreak occurs. Patients can take the drug under doctors’ prescription. Moreover, the drug with Oseltamivir can not replace vaccination; therefore, he advised people to take vaccination against seasonal flu. On the day, the Ministry of Health continued warning of the complicated flu development in the world and in the country with increasing hospitalizations in some localities. To curb the spreading of the ailment and reduce patient overload and cross –infection in hospitals, the Ministry ordered its departments of health to step up information of flu to people. Moreover, cases of flu should be early detected, isolated in houses. People are advised to go to nearby medical facilities soon when they experience serious symptoms of flu. Hospitals are assigned to classify serious patients and slight ones to isolate and provide timely treatment as well as organize special section to curb cross-infection.